exhaust vents Archives - Charles Buell Inspections Inc.
Limp as a Geoduck at low tide–it can be exhausting work at times fighting the tides!! 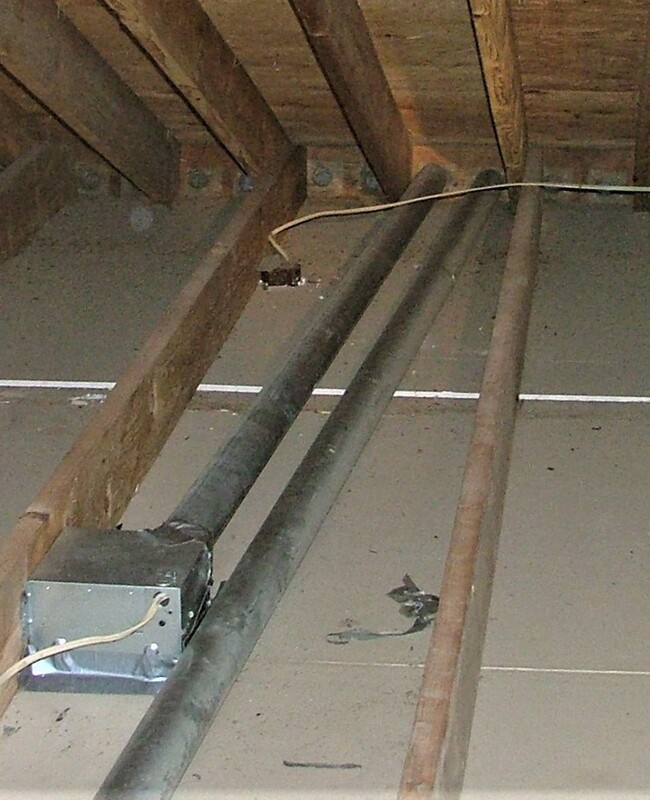 I have posted many times about bathroom exhaust vents improperly terminating in attics. 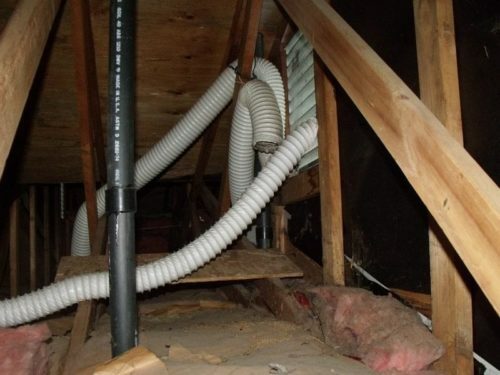 When we first started installing mechanical ventilation in bathrooms, the requirements for where they terminated, merely stated that they needed to be ducted to the “exterior.” All around the country installers have assumed that the attic was “outdoors,” in terms of a place to terminate these vents. 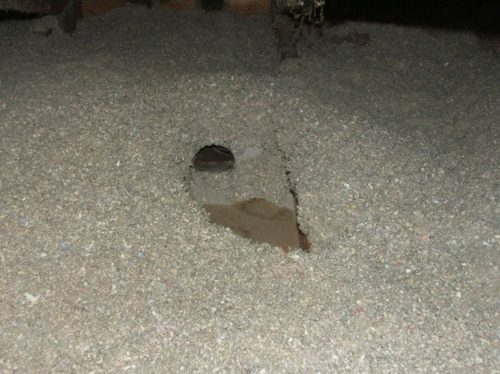 We have learned over time that the attic is not only NOT outdoors, but that the attic can be a very bad place to vent a lot of warm moist air. 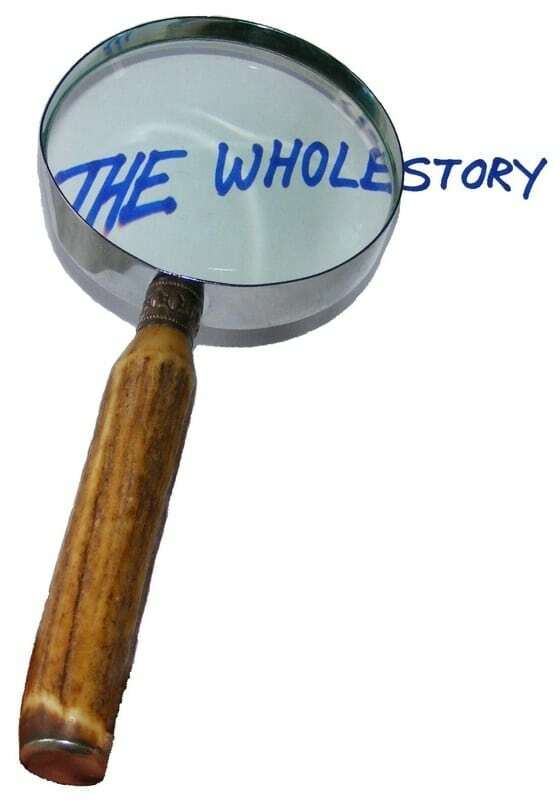 This became even truer as we stopped “heating” our attics (because there was little to no insulation). 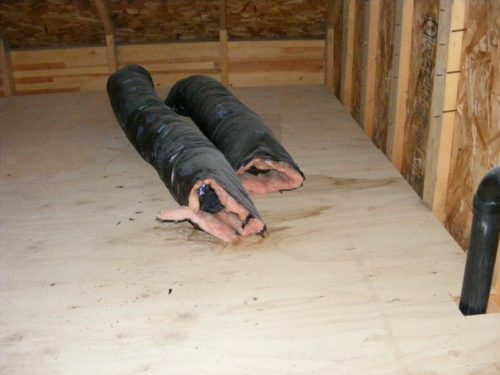 Here we can see a couple of bathroom vent ducts lying on an Attic floor like a couple of relaxed Geoducks at low tide. Can you see where moisture has been staining the plywood at the ends of the ducts? 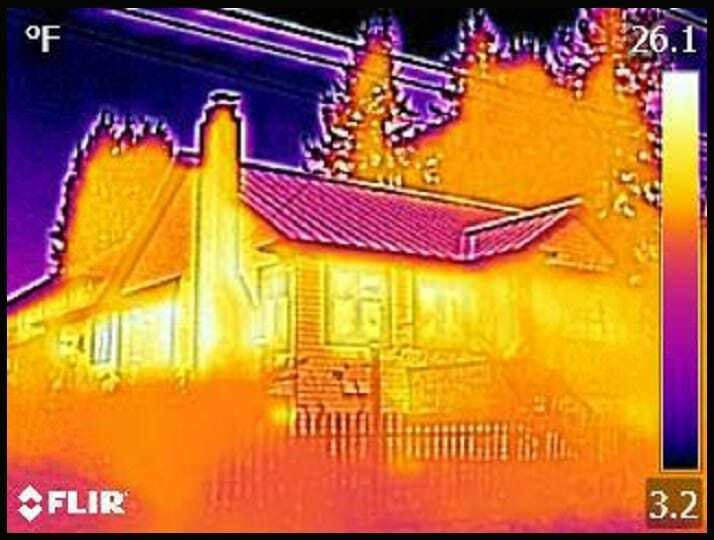 The roof sheathing can get very cold and moisture can and will condense on these cold surfaces. It will also contribute to ice-damming in areas prone to that problem. 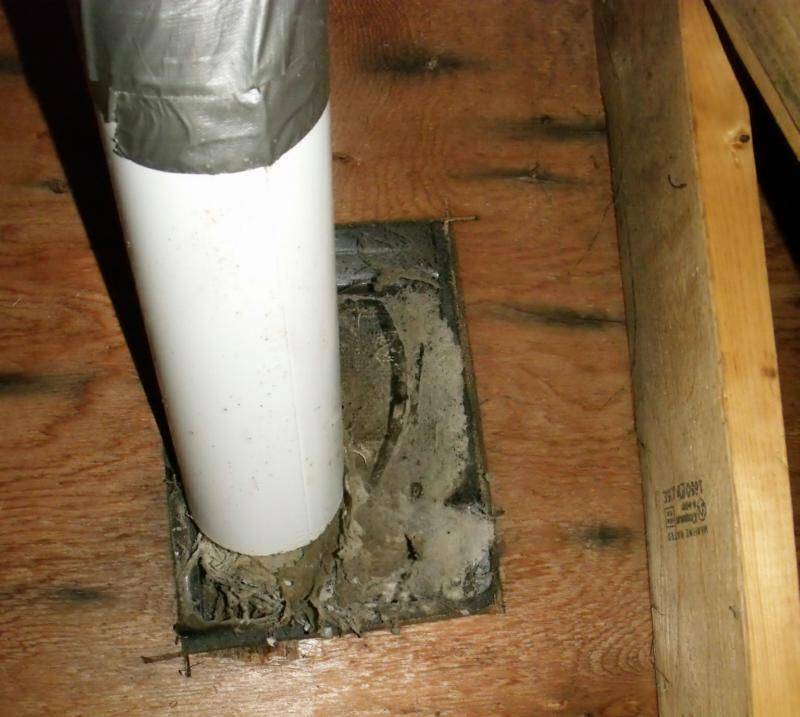 It is not uncommon to see staining of the wood and even mold or mold-like fungal growth present in the area where the vents terminate, as can be seen at this vent terminating near bird-blocking. Can you see where moisture has been staining the roof sheathing? Inspectors will point out vent ducting that is aimed at gable vents, roof vents, and soffit bird-blocking. 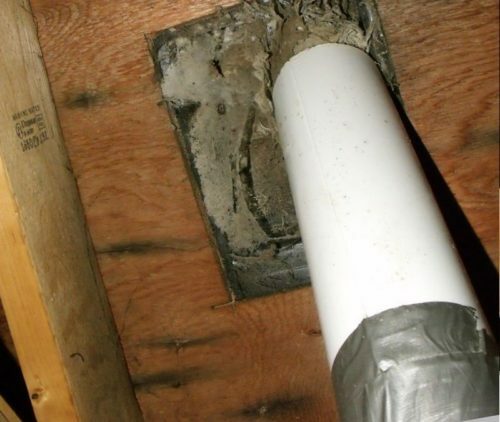 The vents actually may work for a while, but these vents have their own job to do and should not be compromised by stuffing vent pipes in them. 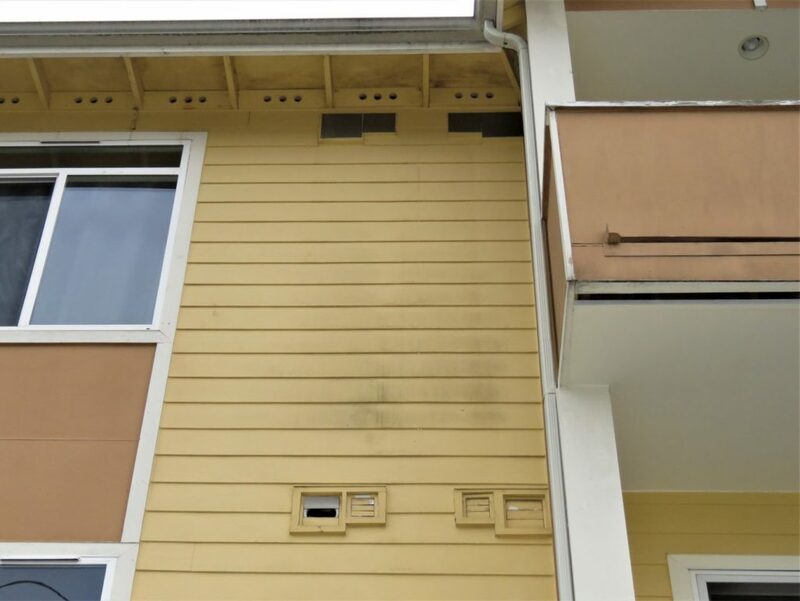 The screens at these vents will become clogged with lint rendering them less than fully functional for either their own job or the job of the exhaust fan vents. Can you see the staining around the nail points from excessive moisture in the attic? 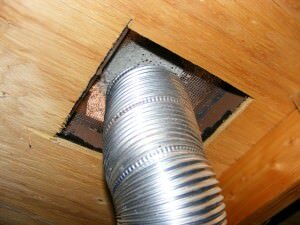 Sometimes there is no duct at all and sometimes the duct runs out through the soffits. 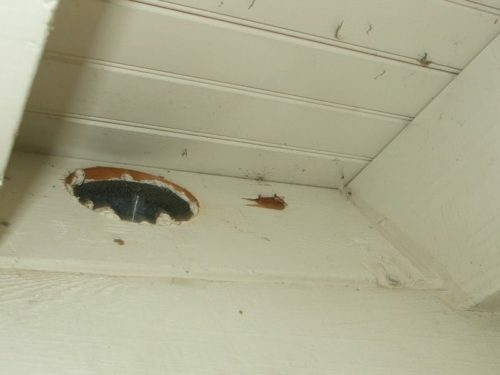 Venting out through soffits is not a good idea as the moist air can just find its way back into the attic if there are any other soffit vents or bird blocking nearby. This is a new installation and already there is some staining of the wood above the vent. 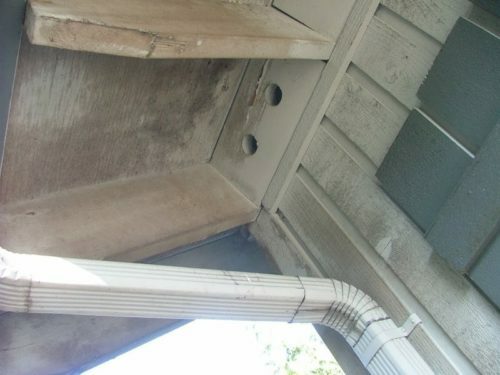 If you look back at the second picture, where the vent terminates in the attic at the bird-blocking, and then look at the following picture, you can see the kind of staining and mold or mold-like fungal growth that is common in the overhangs of homes that have vents terminating at the bird-blocking. In time the screens will plug up and more of the moisture will then stay in the attic. Sometimes this staining tells me the vents terminate at the soffits even before I actually see it in the attic. 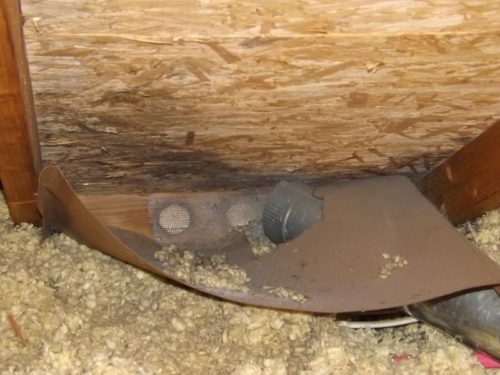 Generally speaking it is best to run the vents through the roof or through a side wall to a proper cap with a back-draft damper (as is required in most areas that are complying with Energy Codes).